Jailed Joaquin Guzman, called the most powerful drug dealer in the world, suffered a setback in his appeal to block an extradition request, Mexican authorities report. 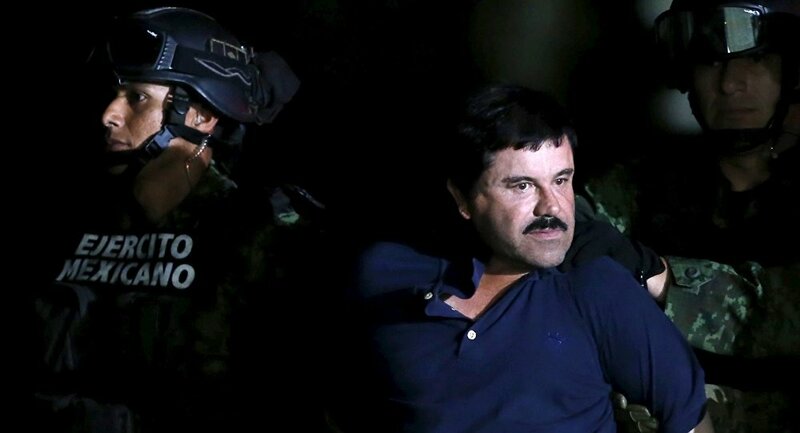 Imprisoned Mexican drug dealer Joaquin Guzman, known under the alias "El Chapo" (for "Shorty"), failed to appeal to the Mexico City court in his attempt to fight efforts to extradite him to the United States. The Mexico City court reportedly overturned his appeal because of lack of evidence and procedural irregularities. According to reports, his extradition has been demanded by California and Texas, for homicide and drug trafficking. Interestingly, El Chapo asked for extradition himself this March, saying that Mexican prison personnel denies him to sleep or see the daylight. Apparently the drug lord or his attorneys changed their eventually mind on the issue. Guzman was captured in January in a sophisticated operation that involved two hired actors (one of them Sean Penn). He had been in hiding for months.